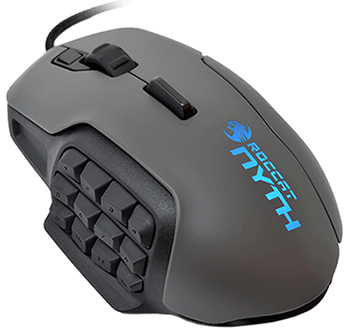 The Roccat Nyth is one of the latest additions to the Roccat gaming family. It is a gaming mouse that belongs somewhere between medium and high-priced gaming mice, currently priced under $ 100. Although Roccat is not a big name in the gaming mouse industry, they do have several well-reviewed products that can offer amazing qualities to any gamer. 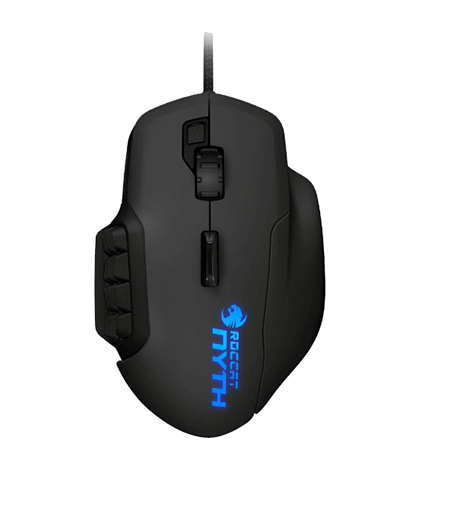 The Roccat Nyth is a full featured gaming mouse that tends to be seen competing with gaming mice produced by the high profile computer hardware producers like Logitech and Razer. Let’s see its features and specs in order to determine if it is a good fit for gamers. The Roccat Nyth comes in one of the neatest and most organized packages you will ever see in a gaming mouse. There is a case for the spare mouse grip and the button sets (read below). The installation is simple, though there are still instructions included. All you need to do is plug in the mouse, downloaded the software from the Roccat website, and install it. You are ready to use the mouse.The design of the Roccat Nyth is amazingly unique. There aren’t many mice with a similar shape, it is a little awkward. However, that doesn’t change the fact that it is easy to hold and ergonomic. The design of this gaming mouse is what separates it from the competition. Why? Because there are swappable side grips and buttons. More on the design, because it is a sort of revolutionary design that everybody is talking about – modular design. That means that the thumb zone, located on the left side, is available for individual placement of mechanical buttons, 12 to be more precise. That means that you can customize your gaming completely. The second important part of the design that I loved was the side grips. You can change them and swap them according to your grip, claw or palm. There are two side grips that are ergonomic and that can be swapped. After you adjust it to the ones that suit you, the movements and the grab are very natural and flawless. The SWARM it is highly praised by users around the world and I can see why. 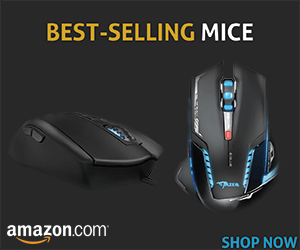 It is certainly some of the more intuitive gaming mouse software you will ever use. Programming macros are exceptionally easy to do and if you want to update anything, it’s done smoothly. The performance of the mouse is exceptional as well. It uses the Twin-Tech Laser Sensor R12000 DPI, which is one of the best in the industry at the moment. You can use it at 12,000 DPI and it will satisfy any needs for preciseness and speed. Forget about lag, the clicks are smooth! The best thing is that this mouse is great for all genres of games, it is not only MMO-centric. It can perform well in any game type because of the customization features and the amazing design and software solutions. 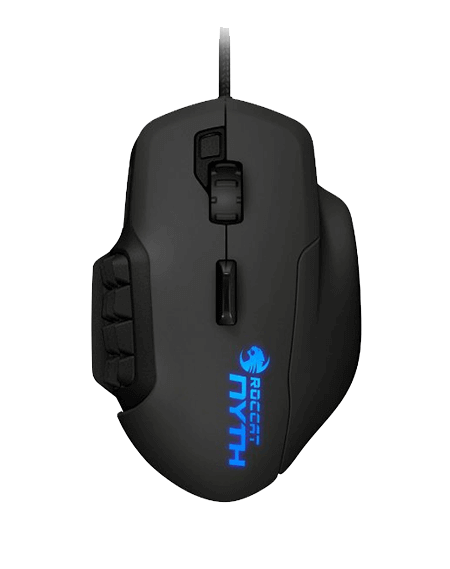 Roccat has done an exceptionally good job with the Nyth. It features one of the best designs you can find in a mouse and with the amazing sensor you’ll be able to be precise, fast, and play for 10+ hours without any delays.